High quality podium rentals and lectern rentals to give your meeting or presentation a professional polish. 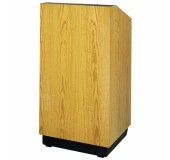 The podium is ideal for any presentation with an elegant wood veneer and over-sized reading surface. 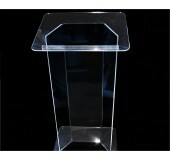 Add modern sophistication to any presentation with this clear acrylic lectern. Great look and sturdy enough for a laptop.